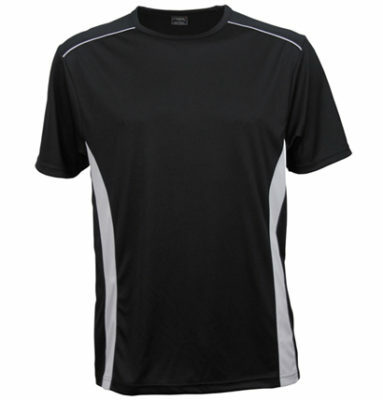 Comfortable and a great activewear option, the Player Men’s branded T-Shirt is a popular choice for sporting associations looking for new uniforms and supporter wear. 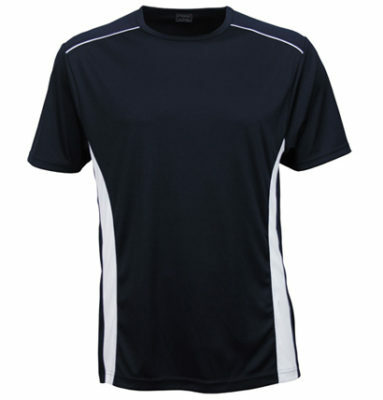 Made from 100% CoolDry jersey fabric and with a casual fit, these shirts will move with the body making them a great choice for playing sport or sitting on the sidelines. 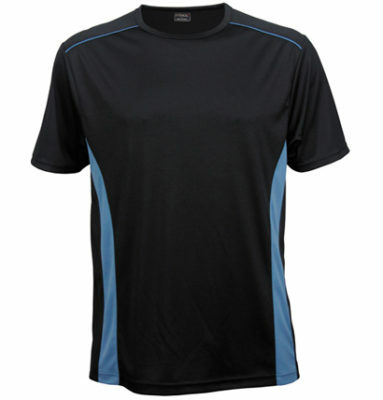 Available in a range of sizes from small to 5XL, and in a number of colour combinations, your sporting club or association will find something suitable in this range. 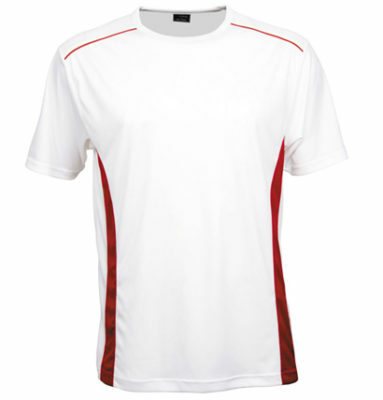 The Player Men’s T-Shirt features contrast panels on the front, with contrast stripes on the shoulders and back. It also has a high UV protection. 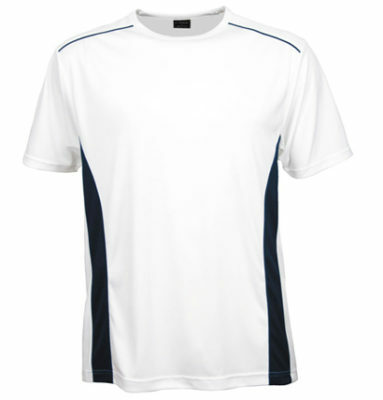 With a screen printed or heat transferred logo or branding message, this t-shirt will help promote your club or association. 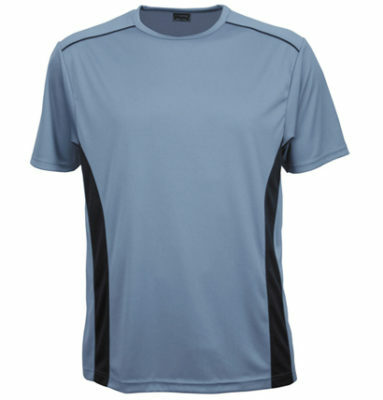 For a great overall style, team up the Players Men’s branded t-shirt with the Micro-Lite Softshell Jacket and Player polo, as well as the women’s version of the Player t-shirt, polo and Micro-Lite Softshell Jacket.